That’s kind of how I feel about homeschooling. I began with all kinds of ideas of how it would be, but it’s turned out… different. Nature walks. I grew up in rural Mississippi where, if you wanted to go for a walk, you ended up in, you know, nature. But in suburban Virginia, “nature” consists of our back yard with one tree. Plus, a nature walk means finding socks and shoes, and the whole thing’s over when somebody sees a bee. So we don’t do nature walks. But we do enjoy family game nights. Each of us plays a different character as we make our way through subterranean caves, perilous marshes, and ruined cities. And I don’t have to find anybody’s shoes. 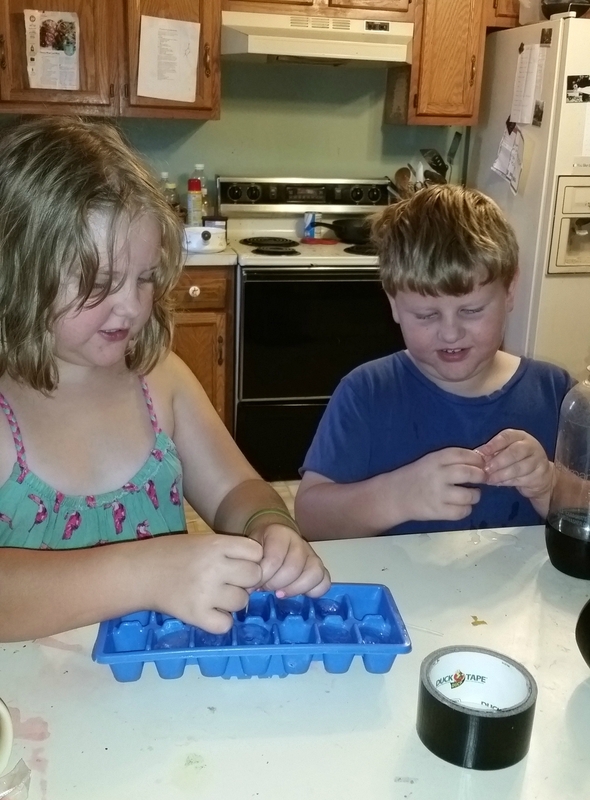 Sparkler and Ranger conducting a self-directed experiment with ice… instead of practicing piano and finishing a math worksheet. Sitting around the table. I imagined my children seated at the table, their books open in front of them, the morning sunlight spilling in through the window. I don’t know why I imagined this. I myself did the bulk of my high school work sprawled on an old white couch. Instead, our children check their assignments each morning and settle down somewhere to do the work on their own. They come find me if they need help. It’s different from what I expected, but it works well for us. Art projects. Artsy stuff used to be all the rage among homeschoolers. Unit studies, “minute books,” project portfolios, murals, and any number of creative approaches to the subject material. I guess I assumed that once I became a homeschool mom, a love for crafts would magically blossom within me. My kids and I both enjoy workbooks, creative writing, and the occasional “design a book cover for this topic.” Darren loves reading aloud and discussion. Our homeschool rarely involves glitter. Older kids helping younger kids. This was a viable option until I had older kids and younger kids who refused to work together. Hmph. As I mentioned, we operate on an independent-worker basis. But we do keep trying. This year, we’re compelling Ranger to let his older siblings read to him (he’s sulky about it). Evening school: Darren going over math with Bookgirl (lollipops allowed in our classrooms). Year-round schooling. It’s efficient, lets you take long breaks throughout the year, and keeps the kids’ knowledge fresh. Sounds great! Wait, hang on, you mean school just never really ends? Why didn’t anybody mention this to me? We take off for the summer—as much for the sake of the parents as the kids. We need the downtime… all three solid months of it. Throughout the year, Darren and I blend our teaching styles, hoping to inspire our children even when school gets boring. 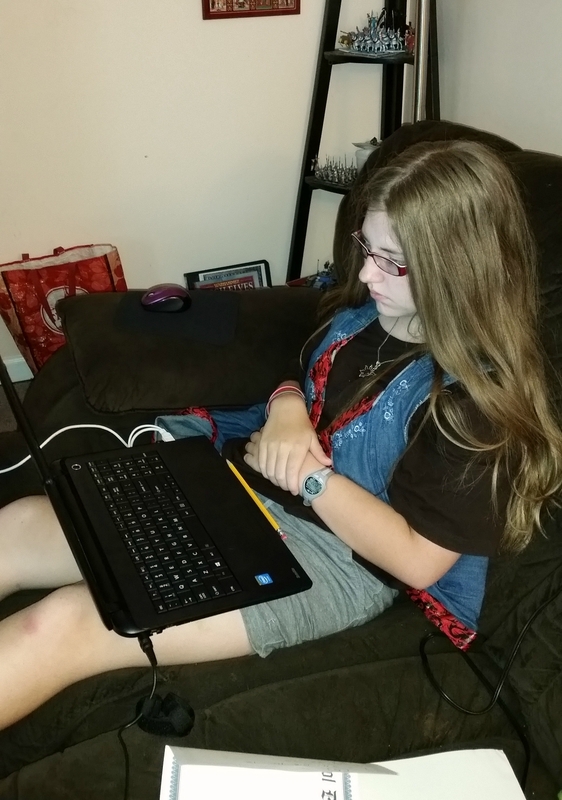 So the reality of my homeschool has turned out much different from what I expected it to be. Yours probably will too. That’s great! Look for your own rhythm and—in the words of that four-year-old boy—turn off the moon! Right, it’s… different. But it’s good. Photo Credit: First photo graphic design by Charity Klicka; second and third photos by Sara Jones. Different, yes. For some reason Mary Poppins always filled my head with songs and laughter as children would line up according to size … doesn’t happen here! Four years into homeschooling and I’m coming to the conclusion that every week will look different. So if there is one thing I know for sure, … we will always be changing. 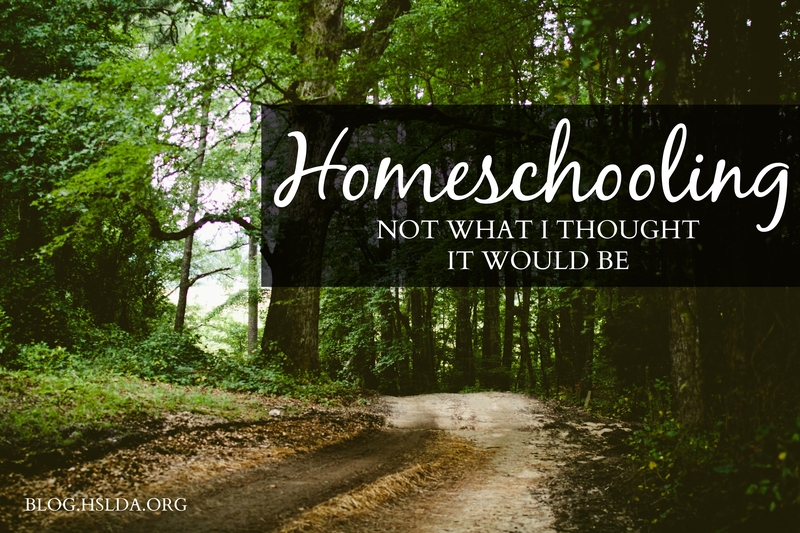 We have to release the stress of making sure it conforms to another’s ideal perceptions of what home schooling should look like and embrace our uniqueness. Yes, Meagan — releasing the stress so we can enjoy our uniqueness. That’s exactly it! Someone who shall remain nameless pointed out that if your neighbors have the ability to turn off the moon, you shouldn’t shout and make them mad. A point!